Speak Up! Speak Out! 1 Workshop. Running an event for your community organisation? What should you know? Welcome to the April issue of The Voice of Volunteering. Last week Minister for Citizenship and Communities, Hon Victor Dominello, launched the state-wide roll out of Timebanking to Albury/Wodonga, Auburn, Bega, Blue Mountains, Burwood, Cumberland/Prospect, Eastern Beaches, Fairfield, Foster/Tuncurry, Hawkesbury, Hurstville, Kempsey, Kiama, Lower North Shore, Macarthur, Nepean/Penrith, Northern Beaches, Rockdale, Ryde, Shellharbour, South Eastern Sydney, Sutherland, Sydney, Tamworth/North West, The Hills, Northern Rivers, Wagga Wagga, Walcha, West Wyalong, and Wollongong. Timebanking is an innovative NSW Government initiative that allows volunteers to earn and exchange ‘time credits’. Please visit www.timebanking.com.au for more information. We at The Centre have a busy few weeks coming up with National Volunteer Week commencing 12 May and the launch of our 2014 Volunteer of the Year Awards. I hope you will be able to join us for the launch event on 12 May where Minister Dominello will announce some exciting new initiatives. I welcome any suggestions for other streams that may be of interest. Please contact me via email at grygate@volunteering.com.au with your EOI. Deadline COB: 16 May 2014. Finally, I recommend you register for the IAVE Conference 2014. The International Association for Volunteer Effort has engaged some wonderful keynote speakers including the Hon Michael Kirby AC CMG and Jody Broun. I hope to see you on the Gold Coast in September. Join the Hon. Victor Dominello, Minister for Aboriginal Affairs and Minister for Citizenship and Communities, for the launch of National Volunteer Week 2014 and the NSW Volunteer of the Year Awards. The NSW Volunteer of the Year Awards program is an initiative of The Centre for Volunteering, the peak body for volunteering in NSW. Now in its eighth year, this state-wide Award program recognises and thanks volunteers in NSW who generously give more than 235 million work hours each year in NSW, contributing an extraordinary $5 billion to the State’s economy. The Award program is generously sponsored by the NSW Government’s Office of Communities and ClubsNSW, the industry body which represents the state’s 1400 not-for-profit clubs. Together lets celebrate the work of these wonderful individuals who do so much to make a difference in the lives of others and the overall spirit of the community. Exciting news! 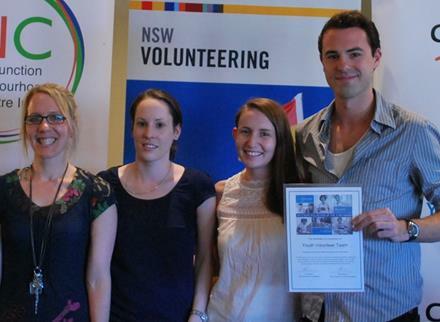 The Centre for Volunteering’s Youth Volunteering Team has won the City of Sydney Betty Makin Youth Group Award for Contribution to the Community. Thank you to the City of Sydney for recognising the important work done by our dedicated youth volunteers. Congratulations Lauren McQueen, Kirralee Phillips, Nick Novi, as well as all our wonderful youth volunteers past and present. Through various youth and student volunteering initiatives, and with no dedicated funding, The Centre for Volunteering resources, promotes and supports youth volunteering in the City of Sydney as well as in the rest of NSW. Based in The Centre’s offices in The Rocks, the volunteers in the Youth Volunteering team assist in various ways including: helping young people connect with volunteering opportunities, mapping out opportunities for young people to volunteer, assisting with events, developing youth volunteering print collateral, developing content for the Youth Volunteering Facebook page, research, evaluation and administration. The Youth Volunteering team also helps run the Intro. to Volunteering Program, an educational program that looks to develop young people’s awareness and understanding of what volunteering is all about. The Youth Volunteering team provides an important youth voice and advocacy role for both The Centre itself and the wider volunteering sector, ensuring that we engage with young volunteers in a positive, meaningful, fun and rewarding way that benefits everyone involved. Recruiting and interviewing potential volunteers is always a challenge for any organisation. Michael Buggy from the Ankali Project and Avril Samuels from The Centre For Volunteering's Referral Service will discuss their processes and tips and pitfalls to look out for. Michael Buggy is a social worker with over 30 years experience in both Australia and the United Kingdom. For the last 14 years, he has been the manager of the Ankali Volunteer Project at the Albion Centre, which is a facility of the South Eastern Sydney Local Health District within the NSW Ministry of Health. Ankali recruits, trains and supports volunteers who in turn provide social and emotional support to people living with HIV and AIDS. In addition to his management role and carrying a clinical case load, he has also developed projects and services on behalf of the NSW Ministry of Health, has undertaken policy development work for the World Health Organization, and has been involved in collaborative work with the Thai Red Cross AIDS Research Centre, the Volunteer Bureau of the Thai Red Cross Society, and the Papua New Guinea Health Department. 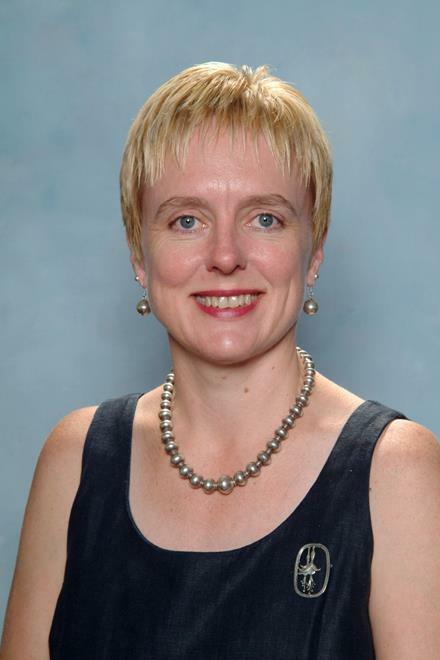 Avril Samuels is the Manager of the The Centre for Volunteering's Volunteer Referral Service. Applicants should allow four weeks to receive their Working With Children Check results. You are passionate about supporting older people and people with a disability to live safely and independently for longer. 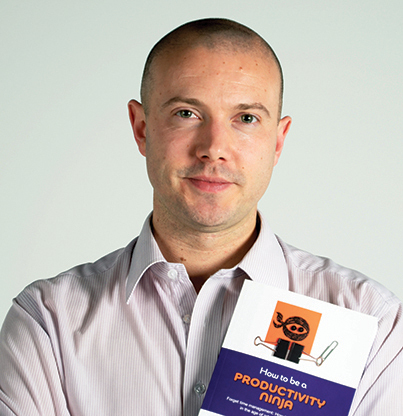 You are fun, motivated and value team work. You believe in the power of volunteering. Inner West Neighbour Aid is seeking a proactive, enthusiastic and professional Volunteer Coordinator. The position requires someone who is versatile, enjoys working with people and has a great sense of humour. Inner West Neighbour Aid is a fully incorporated community organisation that provides social support and home maintenance services to older people, people with disabilities and their carers living in the Inner West. The role of the Volunteer Coordinator is to lead the recruitment, mentoring, supervision and recognition of our volunteers. Applications must address the selection criteria and include a cover letter and resume. Applicants must be Australian Citizens or have an Australian working visa. The preferred applicant will be subject to a Police Check. To obtain a Job Description go to www.iwna.com.au. If you require more information contact Allison Yee-Brogan, General Manager on 0416 455 584. 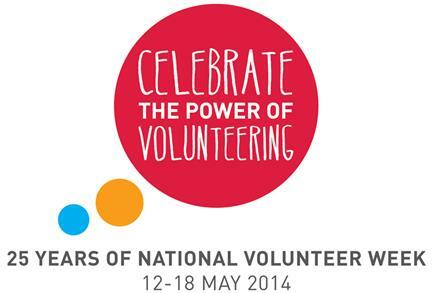 How are you going to acknowledge the invaluable contribution of your volunteers during National Volunteer Week? 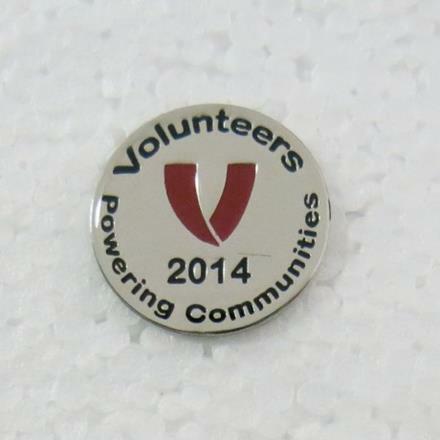 Our volunteer pins are a great memento of National Volunteer Week, and with everyone wanting to get their hands on them, stock is limited. Go to www.volunteeringaustralia.org/shop/ to secure yours today. National Volunteer Week 2014 campaign resources are now available on the newly launched Volunteering Australia webpages dedicated to the week. Resources include four posters, a pro forma media release, access to the NVW2014 logo in a variety of formats, Certificates of Appreciation and invitations for your NVW2014 event. The School is again offering the very popular and successful Speak Up! Speak Out! 1 Workshop. Most community organisations organise events or fundraisers of some kind. Your organisation may hold an event to raise money for its activities or a particular cause, or just to promote the great work it does. Facilitated by Not-for-profit Law, this seminar will focus on a range of legal issues that community organisations should consider before running an event. WHO IS THE CONFERENCE PROGRAM DESIGNED FOR? The program will address volunteering in capacity building, in building corporate and social responsibility in employee volunteering and inter-sector collaboration, and in indigenous volunteering experiences both traditional and contemporary. Volunteering Victoria has been accepted to present a session on the development and outcomes of the Imagine the possibilities campaign.. Register here. The Sydney 2014 Rotary International Convention is being held from 29 May to 4 June at Sydney Olympic Park. The Host Organising Committee are looking for experienced volunteers to coordinate small teams of volunteers at both Lidcombe and Central Stations assisting delegates travelling to the Convention. Assistance is also required to manage a larger team of volunteers at Sydney Olympic Park for the duration of the Convention. The Football Club 2015 (FC2015), Official Volunteer Program of AFC Asian Cup Australia 2015, applications are now open! FC 2015 is the team of volunteers that will be the driving force behind AFC Asian Cup Australia 2015. It’s Australia’s newest football team and it is unlike any other – taking to the field with 1,300 players and performing a crucial role in the biggest tournament Australia’s ever hosted, without actually kicking a ball. “Playing” in the tournament colours of blue, red and yellow, FC 2015 is set to be the heart and soul of Australia’s biggest festival of football next summer, when Asia’s top 16 teams head Down Under to play 32 matches in 23 days across five host cities. Our team will be driven by passion, determination and enthusiasm which will help to deliver an amazing, world-class event. The success of the Asian Cup will be dependent on a huge team effort and we encourage anyone passionate about football to sign-up to be part of this once-in-a-generation opportunity.